Computer technology is inbred in Daniel. His home country is one of the highest technologically literate countries in the world with the largest concentration of scientists, technicians and engineers per capita. In fact, Israel ranks just behind the U.S. as the most important high-tech center in the world, and Tel Aviv is considered the second-most influential breeding ground for startups and entrepreneurs after the Silicon Valley. A few years later, his uncle bought a computer and a new-fangled accessory called the mouse. But the computer didn’t have the capability of communicating with the mouse, rendering it useless. So Daniel and his father wrote programs to drive it, so that an action taken by the mouse would produce a corresponding reaction on the computer, something we take for granted today. 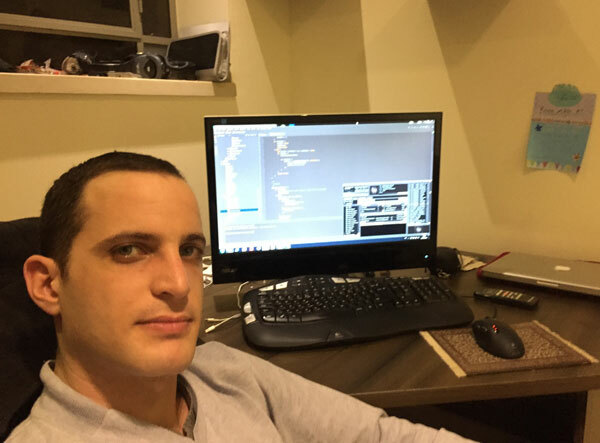 Now Daniel manages his own software engineering company and also serves as the CTO for NetSource Ltd., whose offices are located just outside of Jerusalem. The IT services company employs about 300 people spread among three divisions that use technology solutions to help businesses maximize their earning potential. One of those ways, of course, is through ecommerce. Even Daniel’s mother has felt the pinch. She runs a small shop that sells bridal gowns, but recently more and more women were coming into her store with dresses they bought online from China. They were coming to her to tailor the dresses instead of buying dresses directly from her. So Daniel started looking for a simple way that people like his mother, as well as some of his clients, could set up an online shop. Daniel’s interest in Reaction Commerce is both personal and professional. In Israel, there seems to be three preferred ecommerce platforms: Magento, Ubercart and WordPress (WooCommerce). The good news is that all of them are open source but unfortunately they’re also archaic, limited and lack features that customers want. So in Daniel’s opinion, none of them are good options. By far the most requested ecommerce solution in Israel and, in fact, the single-most used ecommerce platform in the world is WooCommerce by WordPress. And although it comes with attractive advantages, there are also significant limitations. “WordPress is not as good as commercial platforms but companies look at the simple list of features WordPress provides, and they decide they can live with that list and develop the rest later. Websites are up and running quickly, and you don’t have to pay for licenses, and it costs a lot less in development and ongoing admin. In Israel right now, every company, big or small, wants WordPress. At Reaction Commerce, we’re just as excited as Daniel about the opportunity to provide a better choice for developers, engineers and business owners everywhere. For all of you waiting for the next generation, mobile ready, marketing first ecommerce platform, we just have two little words: Coming Soon!